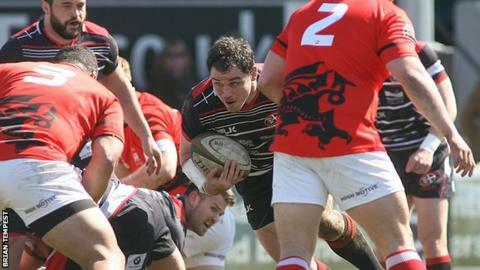 Cornish Pirates want the Rugby Football Union to review the amount of funding they give to Championship clubs. A new deal this summer will see sides in English rugby's fully-professional second tier receive around £500,000 of central funding from the RFU. "We gratefully accept the increased funding form the RFU," Pirates chairman Ian Connell told BBC Sport. "But we believe that funding is still short to meet the ambitions and objectives that we've jointly set." The league is seen a key part of the development of future top-flight and international players and coaches, with seven of England's squad that beat France to secure the Grand Slam having spent time at clubs in the Championship. Connell's opinion is backed up by his outgoing director of rugby Ian Davies. The Welshman has been forced to leave the club this summer due to cost-cutting measures, having helped coach Pirates to a British and Irish Cup victory in 2010 and back-to-back Championship play-off final appearances in 2011 and 2012. "The RFU have got to realistically look at it because it could kill the game," he told BBC Radio Cornwall. "You can't have clubs struggling every year, and there's a couple of Championship clubs who we believe are struggling financially and are on a knife-edge, and that's not professional sport. "They're quite happy to laud the fact that a high percentage of the England team that played in the Six Nations had come through the Championship - well fund it." But Connell does accept that clubs must also try and increase their revenues. While league leaders Bristol have had an average attendance over 6,500, that is 4,000 more than the next best club, Yorkshire Carnegie. Eight of the clubs in the 12-team league average less than 2,000 supporters to every match. "If they are to continue to be professional outfits and to be a pathway for aspiring players to go into he Premiership and Team England then Championship clubs have to be properly financed," he said. "If you want to have a vibrant, professional second tier, I think clubs need to generate revenues of about £2m a year from all sources - sponsorship, membership and central funding." Read more on Cornwall stadium decision planning chairman "despairing"